Mubasher SMS is one of the websites owned by Mubasher Information Technology, a company specialized in providing comprehensive electronic solutions to the Egyptian market since 2003, Mubasher Tech launched this website to accommodate a distinguished level of service for the SMS users including companies and individuals , and for this purpose we established partnerships with the most renowned service providers worldwide, we made a deal with Vodafone for providing the service inside the Arab Republic of Egypt plus a separate deal is in place with some of the major British companies that provide coverage for over two hundred companies worldwide through more than seven hundred different telecommunication networks. We also added the WAP push Technology to our website so that our users can send any kind or size of files (fliers- Catalogues – etc...) to the cell phones of their clients and contacts. 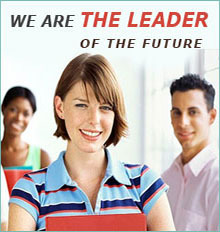 • The ability to migrate your databases to the website with unparalleled ease in a matter of minutes. • The ability to divide your databases into an infinite number of groups according to the classifications that you want. • We added premade designs for product catalogues that suits all the products of our clients from companies and stores to send to their customers, in case they don't have catalogues of their own. • We provided a yearly calendar inside the account of each client, with the different social events, plus you can add your own private events for you, your friends and family, and pre-schedule the sending process for individuals or groups. • The ability to schedule sending different messages to different groups for a year in advance using the aforementioned calendar. • A pre-existing library with different tests suiting different occasions, to save you time and provide you with the perfect phrasing for your message. • The ability to schedule the sending process in a (monthly – semiannual –annual) form, for reminding your customers with due installments for example, to help with commercial businesses. • And we introduced the MMS service in corporation with Vodafone accompanied by the added ability to use their databases of about 25 million subscribers, classified in great detail under the different criteria that the commercial enterprises may need. Using Wap Push You Can Upload (PDF, Jpg, GIF, Doc,… etc) Files , Catalogs For your products or any Service available on fun corner to send them to Your Contacts in SMS. You can choose Catalog which fits your Logo and Products among a wide range of ready-made catalogs on our site to send to your customers catalog with your new products in SMS. 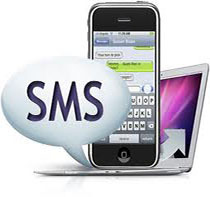 You can rely on this service to send automatic SMS in date and time you specified to Congratulate for public and private events or reminder your customers the dates of their premiums.